Mixing patterns is not an easy job, but this time I paired this black and white boyfriend striped tshirt with a monochrome bandage skirt. 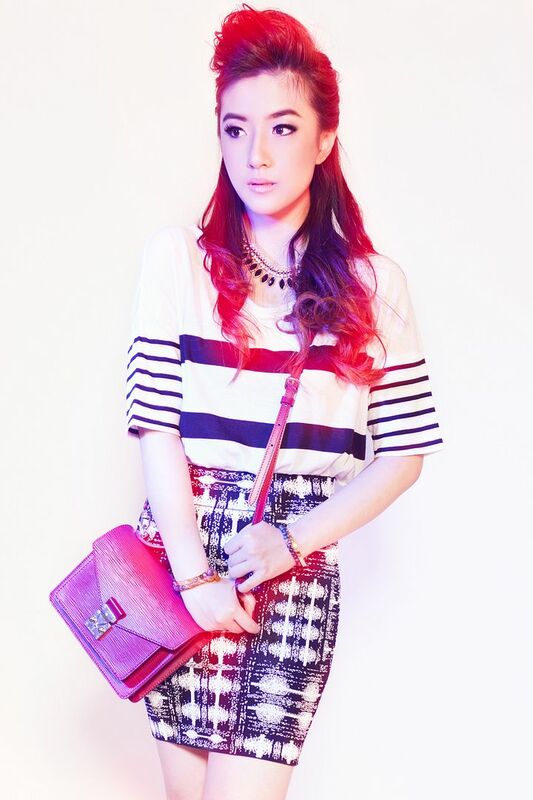 To top off the look, I wear a mini bag and a pair of pumps with a splash of color. View more on Gap Styld.by website here. (C‐01) with a 32mm diameter. Anyway, it's a major beauty investment that will change your everyday routine, I would say. So get your hands on one. Click here to watch the tutorial video and follow Beauphoria on Instagram @beauphoria. It's my second look for Gap Styld.by. I love this semi-sheer soft slouchy tshirt that is so comfortable to wear. 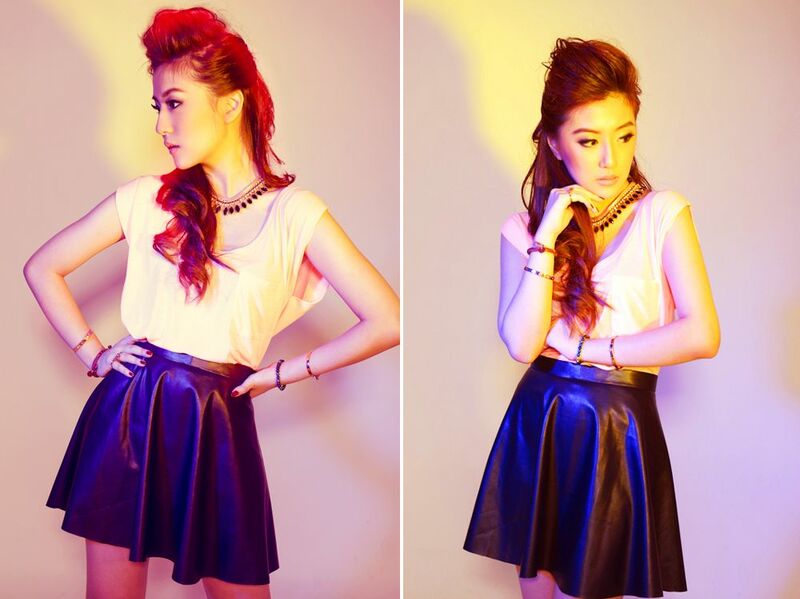 For a going-out look, I paired it with a leather circle skirt and a playful lace up pumps. View more Gap Styld.by gallery on their website here. "This was a shoot full of love and laughter, says Christopher Bailey, Burberry chief creative officer. "It was such a treat to work with Sienna and Tom, and to capture their magic together." Real-life couple Sienna Miller, 31, and Tom Sturridge, 27, are the new stars of Burberry's Autumn/Winter 2013 ad campaign, and in the ultimate act of PDA, the two kiss and snuggle for the camera. The longtime members of the Burberry fashion family were shot together as a couple for the first time. Miller gave birth to their first child, daughter Marlowe, 11 months ago. Sienna, the girl who once shame-walked out of Diddy’s apartment, the same one who couldn’t show up at a party without making it all about her, isn’t that girl anymore. What a difference a baby makes. Featuring Autumn/Winter Burberry Prorsum, London and Brit collections, the campaign highlights men’s and women’s outerwear and accessories – available in stores globally from 3 July 2013. Watch the campaign video in which they are featured together in the new Burberry ads below and check out The Crush bag, The Boston bag, The Britain watch and animal print sunglasses as seen on the Autumn/Winter 2013 runway. The inimitable designer Karl Lagerfeld achieves cartoon-cool status in the covetable Tokidoki x Karl Lagerfeld collaboration, exclusive to NET-A-PORTER.COM. 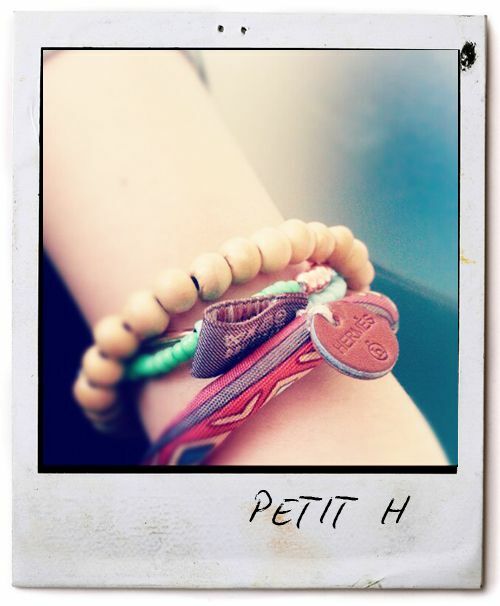 "I am very flattered that I became a tokidoki. I always loved them and I am very happy to be one of them!" says style maestro Karl Lagerfeld. 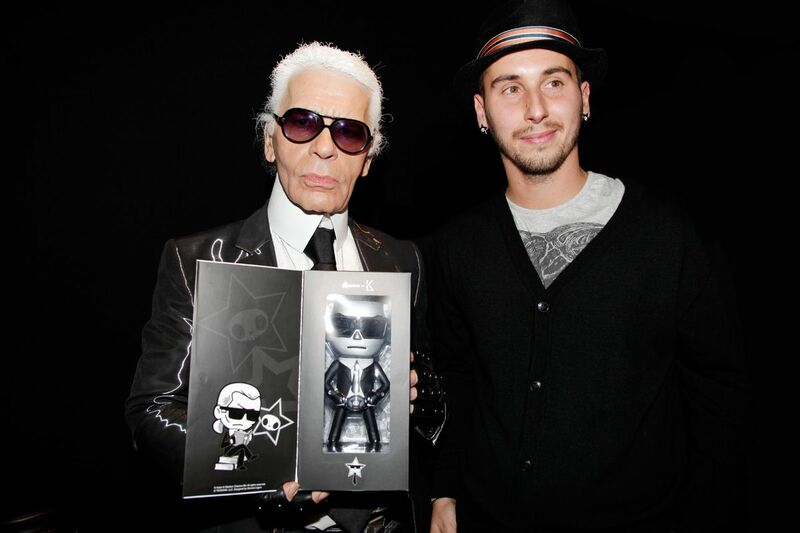 Italian brand Tokidoki has decided to honour both him and his cat Choupette (which has his own two maids following him around) with the Tokidoki + Karl Lagerfeld Mr Choupette Doll (USD186 here). These collectible figurines from the cult Manga-inspired label is part of a limited edition capsule range and thanks to NET-A-PORTER.COM you can now have your very own Karl Lagerfeld and Choupette the cat sitting on your dressing table. 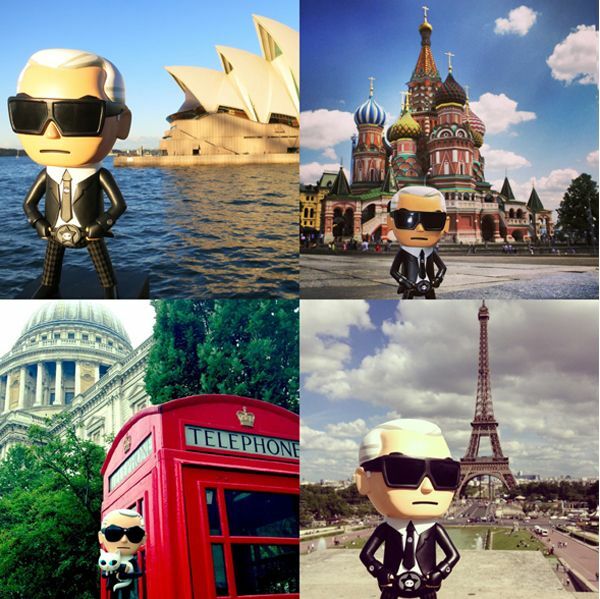 And on top of that, Karl is on a stylish trip around the globe - win an exclusive Tokidoki x Karl Lagerfeld figurine by helping him decide where to go next. To enter simply upload your photos of the next place you think Karl should visit, on Instagram or Twitter, with the hashtag #KarlYourWorld. Just wanted to share with you photos from my cousin's wedding last week. 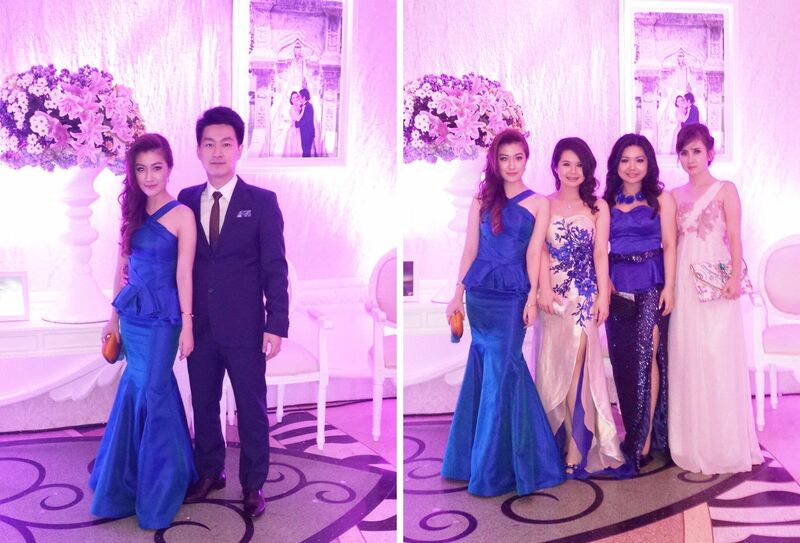 I was wearing a mermaid dress with a peplum detailing in my favorite shade of blue. I'm thinking of making a short version of the gown for my line (www.poise24.com) since I received a lot of emails about the dress. Perhaps you can also let me know what you think. View more photos on my Instagram (@silviasiantar). 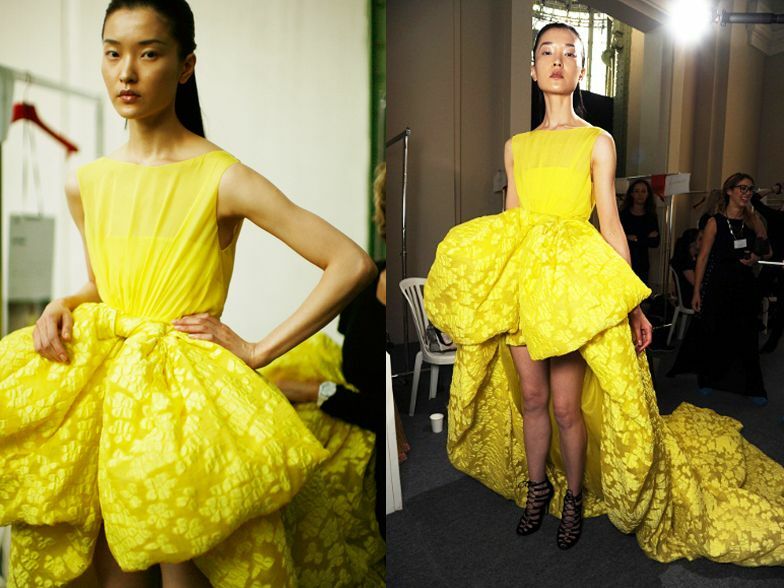 Extending his venerable talents to the realms of couture, Roman designer Giambattista Valli pushes creative boundaries with this line of show-stopping dresses. 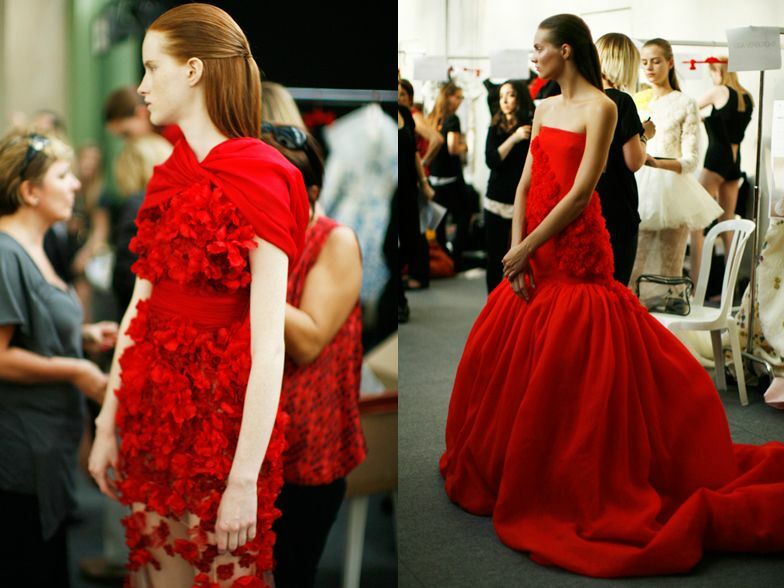 He turned a fresh eye to modernist design with his Fall 2013 Couture collection. 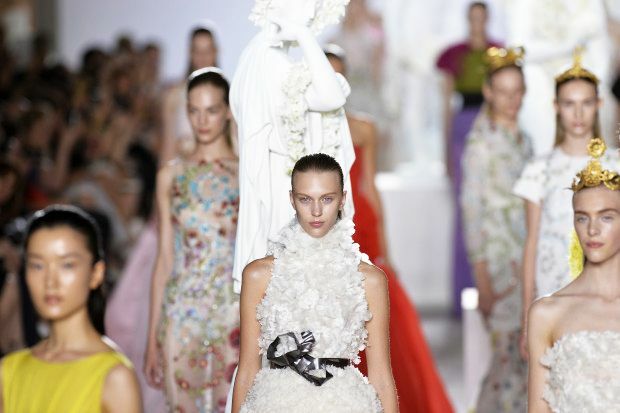 Heavily inspired by fine china, his fifth couture collection was all about the detail. 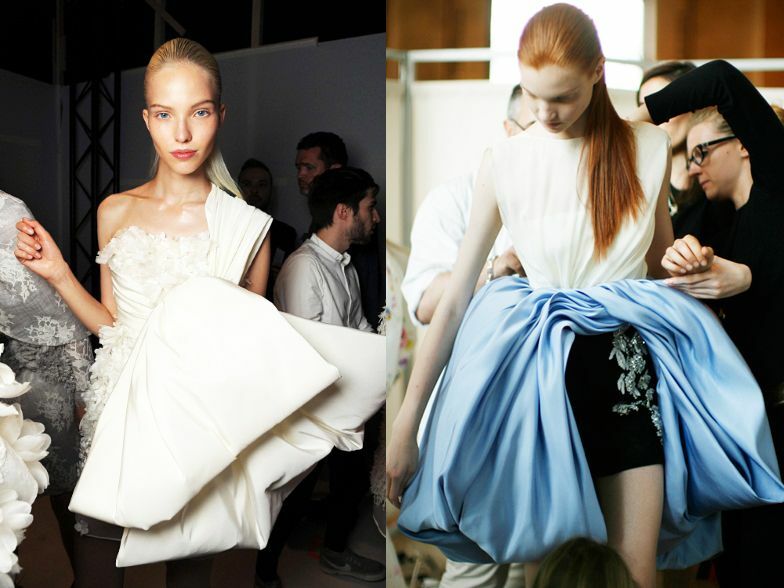 Ruffled textures, blue and white floral prints and feminine, flouncy shapes made this couture show as breathtakingly beautiful as ever. Coach's latest 'Summer in the City' lookbook is shot and styled just like a street style photograph in nature. 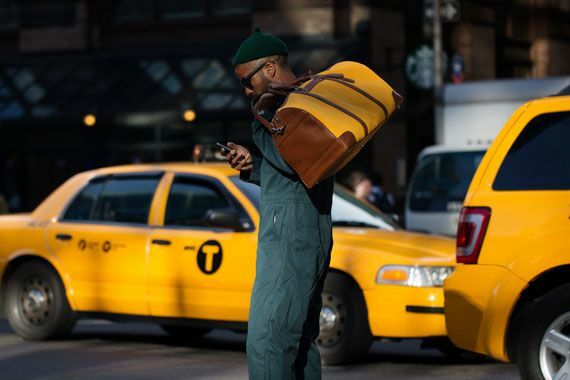 Shot by photographer Scott Schuman a.k.a The Sartorialist, the lookbook features obscure angles captured across the spectrum of a summer in New York City. It's indeed naturally beautiful although to some people it could be merely a fad fashion photography. 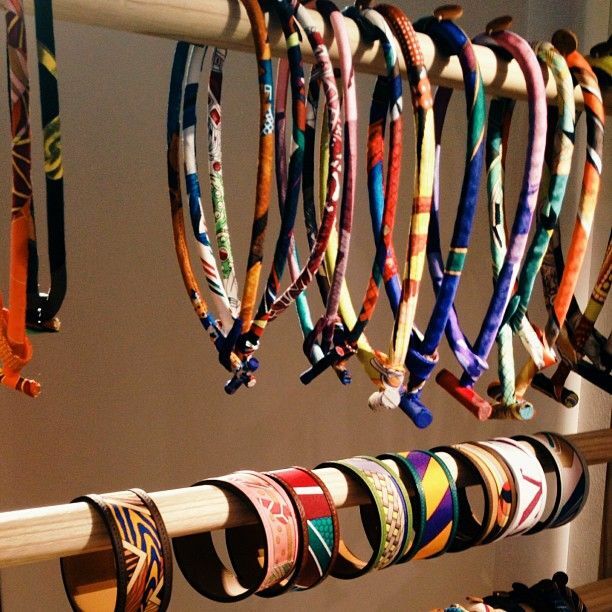 The images feature Coach’s newest summer accessories, including handbags, crossbodies, watches, travel bags, and many more.